TRAVERS CITY, MI -- Applesauce maker GoGo squeeZ is voluntarily recalling some of its product pouches due to the discovery of food product residue in two product pumps at a plant in Michigan. The company released a statement saying the pouches did not meet its quality standards but that no illnesses had been reported. The statement went to say that while it is possible the residue may have been incorporated into the finished product, the company tests the applesauce extensively and has not seen evidence of it in the pouches. 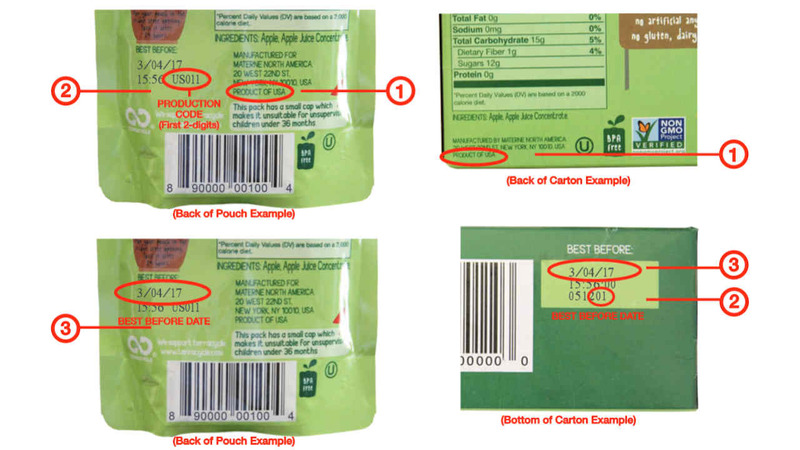 Consumers who have purchased GoGo squeeZ applesauce pouches with Best Before Dates between 12/4/15 and 3/4/17 can contact the company at 1-844-275-5841 or visit voucher.gogosqueez.com to request a replacement voucher. CLICK HERE for more information about what products are affected. The recall does not include or impact GoGo squeeZ Organic products or GoGo squeeZ YogurtZ. FULL STATEMENT from GoGo squeeZ.